Residents of North Olmstead, OH, can count on our water damage restoration services in cases of floods, major leaks, overflows, burst pipes, and more. 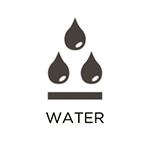 We address the original cause of the problem, remove excess water and moisture, and restore affected areas and belongings. A timely response is critical in order to avoid permanent damage and prevent mold growth. For these reasons and more, our RestorationMaster technicians are available 24 hours a day to answer the call. 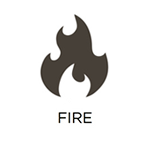 In residential and commercial settings, fires are a worst-case scenario. The flames themselves can result in significant property damage in little to no time at all, while the resulting smoke and soot can affect surfaces for days following the event. At RestorationMaster, we offer 24/7 fire damage restoration services to combat these events. To limit the extent of the damage, we encourage you to contact our representatives as soon as the fire is put out. We offer these comprehensive services to property owners in North Olmstead, OH. The Midwest is notorious for rapidly-changing weather conditions, and this is particularly true in North Olmstead, Ohio. 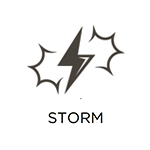 Bright, sunny days can quickly take a turn for the worse and the storms can result in property damage. At RestorationMaster, we offer 24/7 storm damage restoration services to stabilize your building following major weather events and restore affected belongings. Whether your roof is damaged by hail, your siding is battered by wind, or something even more severe occurs, we have you covered. 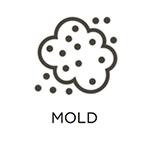 Mold has the potential to cause significant damage to your property and health. If moisture is present, it can begin to grow on woodwork, drywall, and other surfaces, and spread rapidly to other areas. At RestorationMaster, we offer complete mold removal services to limit the extent of the damage and restore affected surfaces. We locate all sources of mold growth and utilize advanced equipment to eliminate it. We offer these services to property owners in North Olmstead, OH. If a violent crime or severe accident occurs on your property, it is important to contact appropriate law enforcement personnel and EMTs right away. It is also critical that you contact a professional restoration service provider to clean up the scene. At RestorationMaster, we offer 24/7 trauma and crime scene cleaning services to residents of North Olmstead, OH, in emergency situations. Our technicians remove dangerous biohazard materials from your property, sanitize affected surfaces, and restore damaged areas. When you choose to work with us, you will receive swift, effective, and compassionate services. Biohazard materials are dangerous to encounter because of the pathogens they contain, and the likelihood of them spreading infections and diseases. If you find these substances on your property, it is important to have them professionally removed right away. 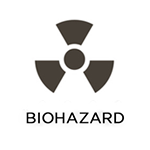 At RestorationMaster, we do just that through our biohazard cleaning services. Our technicians adhere to governmental rules and regulations regarding the disposal of these dangerous substances and will act swiftly to return your property to a safe condition. We offer these services to those in need in North Olmstead, OH. When property damage occurs in commercial settings, the results can be particularly costly. Building materials and valuable assets can be permanently damaged, and standard operations can be forced to shut down. At RestorationMaster, we offer comprehensive commercial restoration services to get you back on your feet both rapidly and effectively. No matter the cause or scale of the damage, we have the resources to return your property to its original condition. We offer these services to commercial property owners in North Olmstead, OH.